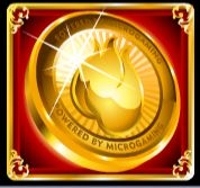 Burning Desire is one of the hottest slots from one of the hottest software developers in the world; Microgaming. 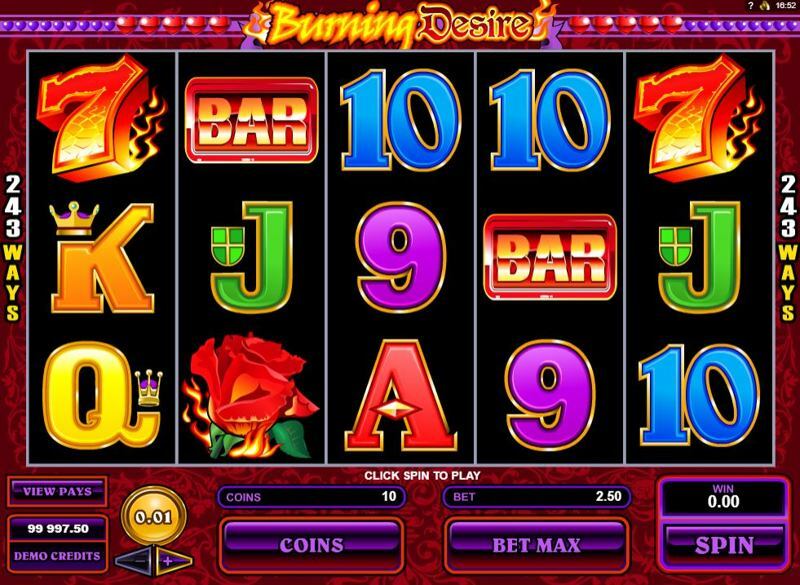 This slot oozes heat, lust and love, with its almost retro graphical feel to it making it one for the ages. Microgaming have decided to go with the increasingly popular 5 reel, 243 payline format for this slot, which we actually think works really well. It’s a high budget game in essence and you can wager all the way up to 250 coins a spin. The minimum bets of 2.50 coins per spin will likely force out some of the smaller budgets amongst you, but you will also get a chance to win two jackpots of 90,000 and 30,000 coins, respectively. Easily one of the hottest themes on offer, Burning Desire has a real boudoir feel to it with a series of dark, seducing colours throughout. Graphically, it could be better in all honesty and feels a little on the budget side of design. It doesn’t have any major flaws, though, and the soundtrack is still bearable even after a good half an hours’ worth of play – which is more to be said than most. You can gamble any winnings from the feature round with the standard Microgaming card game where you guess the colour and suit of the next card. Doing so just once will double your winnings, but you can go as many times as possible until the maximum payout has been achieved or you lose your bet. The most intriguing part of the slot comes from the free spins section. This is the area in which you will be able to win the 90,000 coin jackpot. To trigger the free spins you need to collect three or more of the gold coin scatters, which will give you an initial 15 free spins. All winnings from this section will be tripled and there is a chance to get these free spins re-triggered if you manage to pick up three or more of the scatters whilst playing this round. Theoretically, the amount of free spins you could earn is limitless. Your wild symbol is a relatively standard feature and will substitute into none winning lines where possible to turn them into winning lines. The Burning Desire logo makes up the wild symbol and these will appear on reels 2 and 4. They will also be needed in order to take advantage of the regular play jackpot of 30,000 coins.